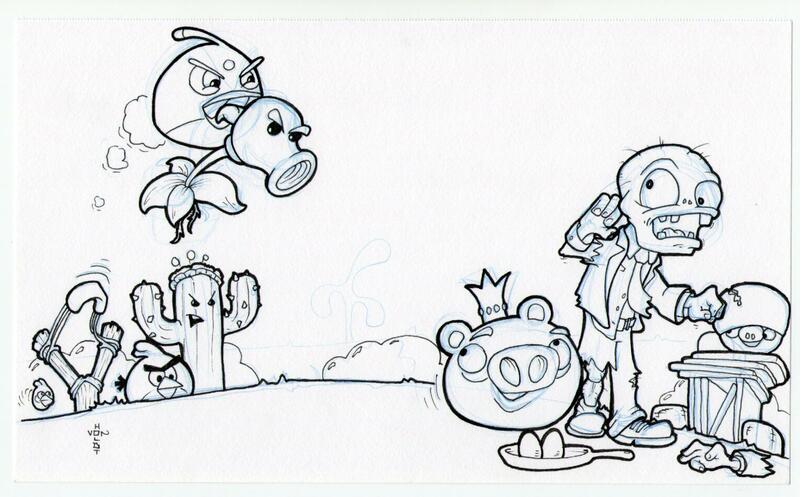 My nephew asked me to doodle a mash-up of Angry Birds and Plants Vs Zombies, so I hope he likes how this came out. I’ll have to find time to color it up for him later. 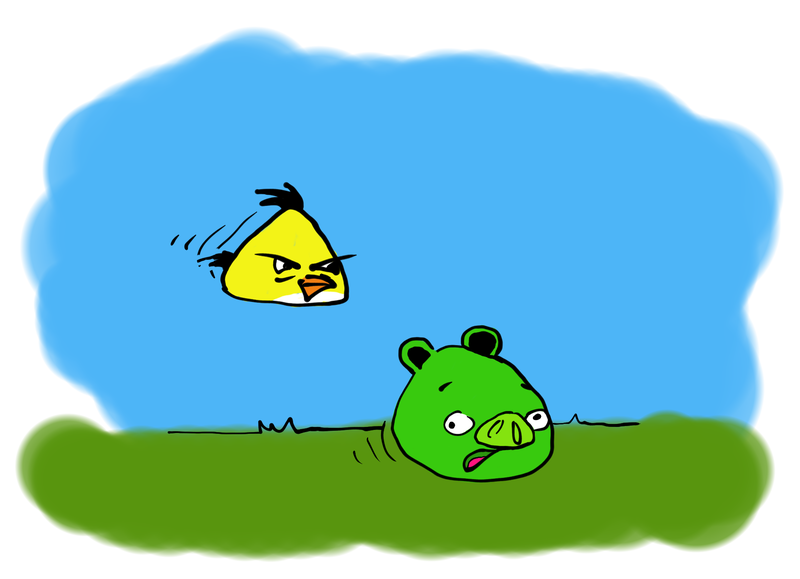 I just bought the Angry Birds game for our PSPs so I probably could have made a much better doodle, but that would have taken time away from flinging birds.